Cutie Cars are a new spin on a classic toy car. These cute wheeled collectibles come in a variety of fun themes, and include a removable Mini Shopkin collectible figure ready to take the wheel! 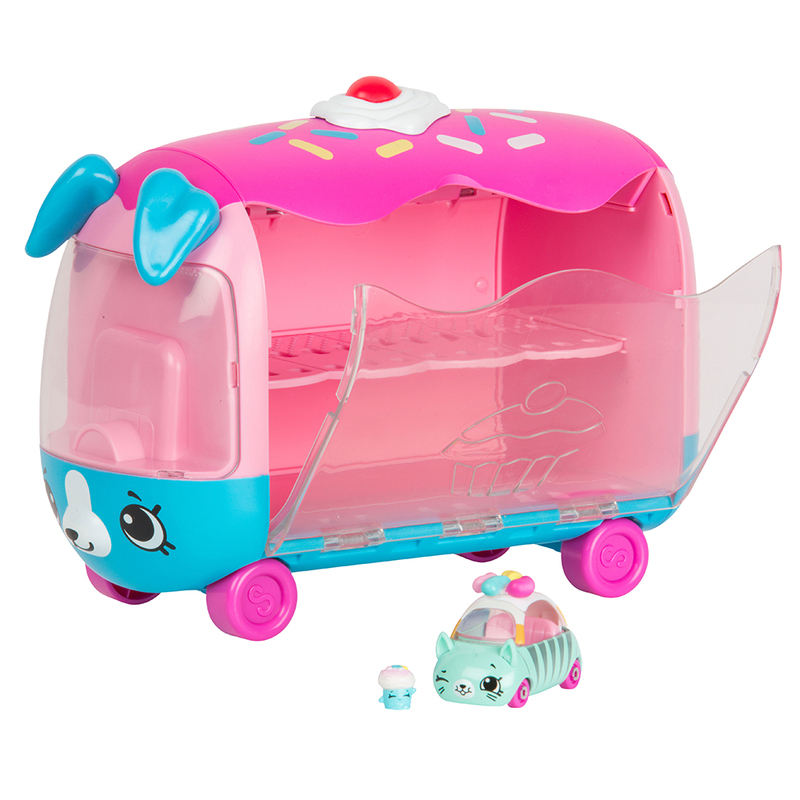 Take your favorite Cutie Cars for a sweet ride together in the Play ‘n’ Display Cupcake Van! Open up the side to park, ride and display up to 8 Cutie Cars. 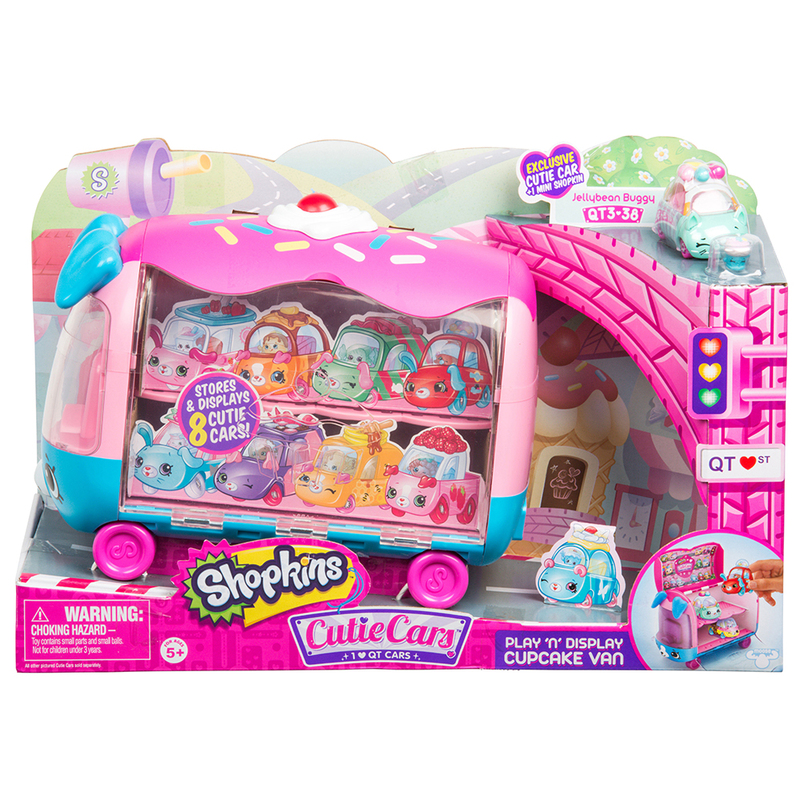 Including an exclusive Cutie Car along with a Mini Shopkin it’s the perfect van for every Cutie Car fan!